Most people have some awareness of VR headsets and little by little, more consumers are beginning to use them. These days, I see VR headsets sold everywhere, even the dollar store. And one time, an office coworker found one of my 360 galleries on Gala360 on her Gear VR 😀 Nonetheless not many people I know have even a Google Cardboard. But what about 360 photographers and videographers? How often do they use VR headsets? Before I posted the poll, I thought there would be very few people who use VR headsets, even among 360 photographers. But I’m pleased that there are actually many more VR headset users than I had supposed. As of this morning, there were 88 respondents to the survey. – 36 used it watch more than 20 photos or videos. – 6 people watched between 11 to 20 photos or videos. – 16 people watched between 1 to 10 photos or videos. – 30 people did not watch any 360 photos or videos. 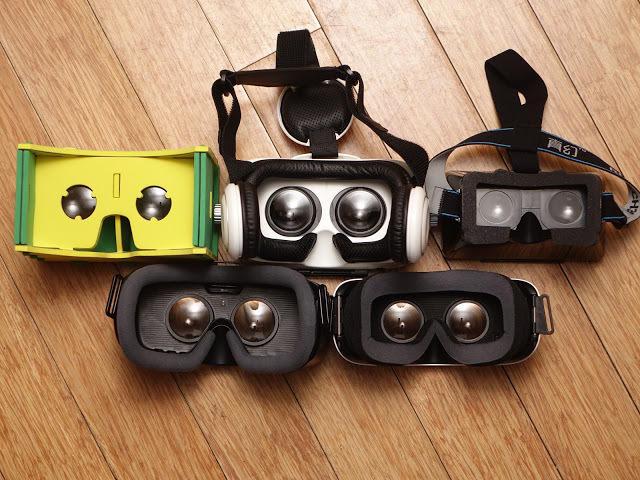 Of these, 5 had never used a VR headset before. It appears that around half of 360 shooters surveyed use a VR headset often (41%) or occasionally (7%). It also seems that a large majority of 360 shooters (75%) have a polarized reaction to VR headsets — they will probably either use it often, or never use it at all. One 360 photographer who uses a VR headset often is Pat Gallagher, an experienced 360 virtual tour photographer based in Ireland. “I look at least dozen each week. I test every one of my 360 virtual property tours so I don’t have any come back from agents or owners.” Pat said his clients themselves use VR headsets as well for sales and to showcase their virtual property tours. The poll is here. You can check it out and perhaps post your response. How about you? Do you often use a VR headset? And what do you think of these results? Every shot and video that I create is reviewed in a VR headset. There are a myriad of reasons, all of which I’m sure you already know, for this. There are not exceptions. Thanks Rich! It seems that viewing on a VR headset is part of the best practices for professional 360 shooters such as yourself. Hi Mic. I use it too to verify the result after post photos in street view. And to discover new 360 videos from YouTube or Veer.